Karyn Huenemann is the first contributor (other than me) to Canadian Writers Abroad – and her article makes clear why she should be. She has lived in England, India, California, Paris and Boston. While in England and India, she was on the trail of Duncan. Having returned to Canada, she is the project manager of Canada’s Early Women Writers (CEWW) at Simon Fraser University, Burnaby, BC (ceww.wordpress.com). CEWW is an ongoing project, run by Dr. Carole Gerson, to create an online database of all Canadian women who published—in any genre, in any forum—before 1950. CEWW is one of the seed projects for the larger database project, the Canadian Writing Research Collaboratory (CWRC), run out of the University of Alberta, and headed by Dr. Susan Brown. Being a Victorianist, studying in Ottawa in 1988, nothing seemed more natural than to take a course in Early Canadian Female Novelists offered at the University of Ottawa by the late Professor Lorraine McMullen. Imagine my surprise when one of the novels offered had seemingly nothing to do with Canada: The Simple Adventures of a Memsahib was a novel of British India, published in London in 1893. It turned out that this novel was written by one of those myriad of authors who—for whatever reason, although most often the inability of the Canadian publishing industry to support its authors—had left Canada for warmer or more lucrative places. 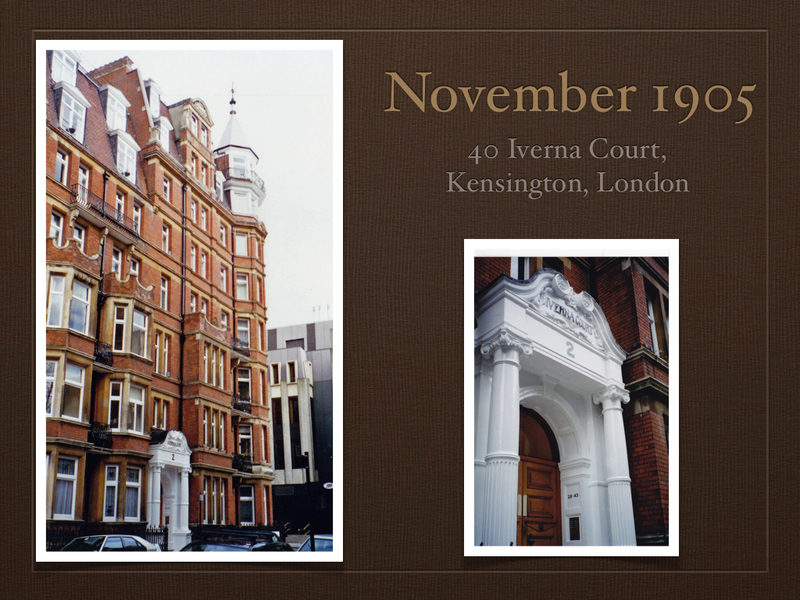 My Master’s degree achieved, I eventually followed Sara Jeannette Duncan to London, and then to India itself…. While complications in pregnancy made me cancel my trips to Calcutta and Simla from our home in Bangalore, in England I was more lucky. I dutifully read through Marian Fowler’s almost painfully familiar biography of Sara Jeannette Duncan, Redney(1983), gleaning from her research and other supporting documents what I could about Duncan’s travels and residences. Living in Windsor and studying at the University of London gave me ample opportunity to traipse the streets of London and its suburbs, A-to-Z in hand, trying to photograph the homes Duncan lived in, imagining her writing Cousin Cinderella (1908) or Two in a Flat (1908) as the sounds of London streets wafted through her windows. Unfortunately, many years, two children, and three jobs later, when I returned to academia and Sara Jeannette Duncan, I discovered that on only some of the photos had I written addresses. What sort of researcher makes such a mistake? I was appalled at my oversight, and can offer no excuses. 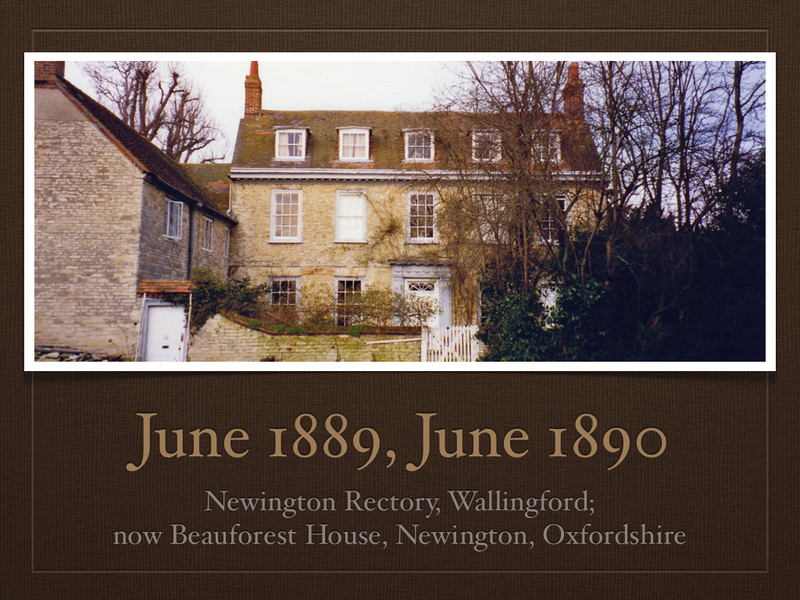 I do remember walking for what seemed like miles, up through winding streets in the north to get a photo of what I later thought was Newington Rectory… but the truth is lost in the mists of time, at least for a person now living on the West coast of Canada! Looks great, Debra! Thanks for the flattering introduction. Did anyone notice that in previous posts I did not spell Sara Jeannette Duncan correctly? Thanks Karyn for bringing to my attention the missing “n” in Jeanette. Ah, and so the mystery continues. I’m sure that in her wildest dreams, Ms. Duncan could not have imagined such a dialogue.